I wanted to do something special for the kids on Friday evening, the end of their first half week of school. I decided it would be fun to go outside and have a BBQ and glow party. 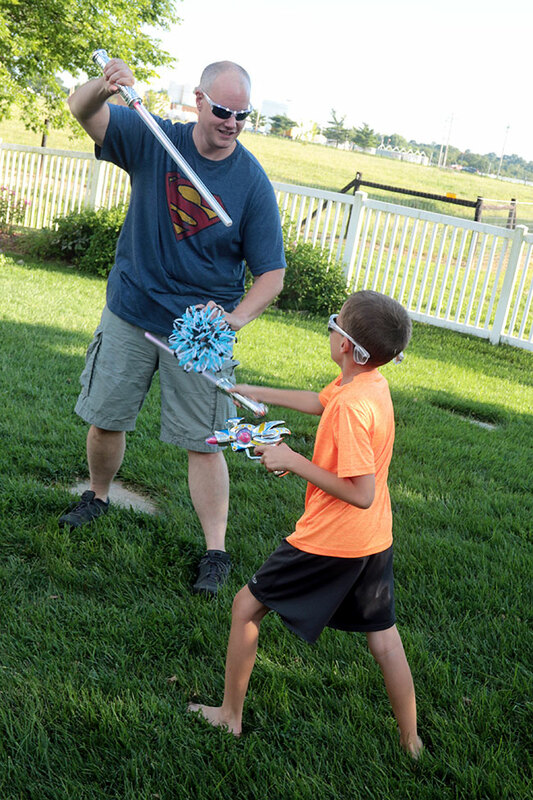 For the BBQ I made one of their favorite BBQ dinners, an easy foil packet meal and we enjoyed fun glow toys c/o Premier Glow. 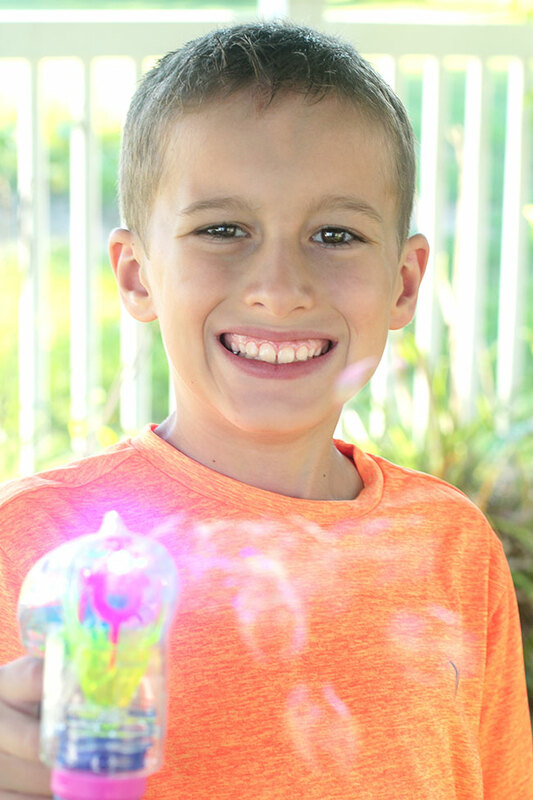 The weather was beautiful, the food filled our bellies and the kids were over the moon about the glow toys! 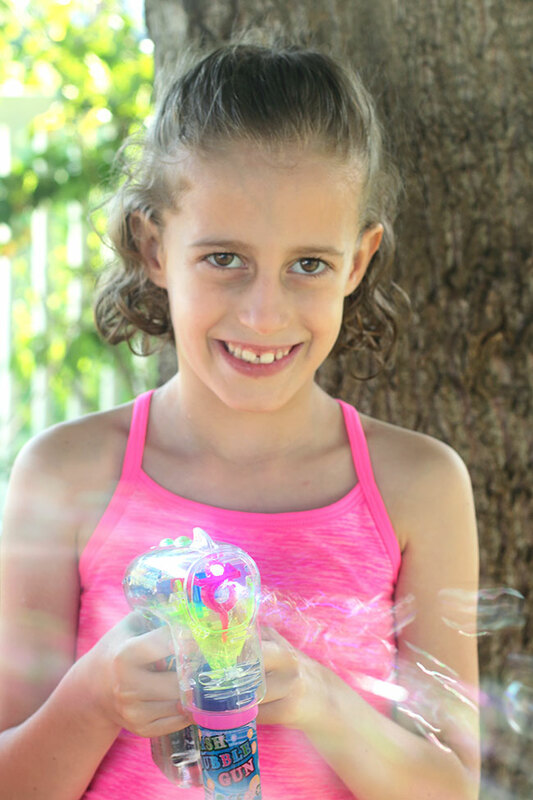 I wanted to share with you what glow toys we enjoyed and also the recipe for the tasty foil packet meal… so read on! 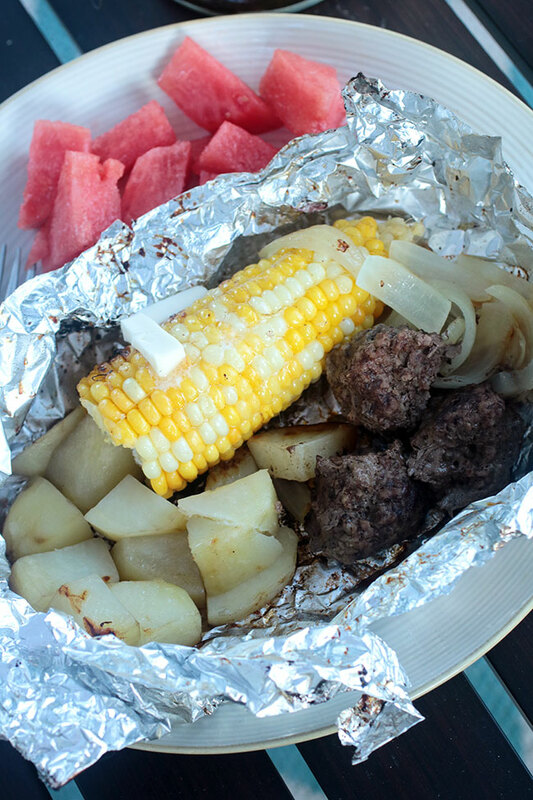 This is one of my favorite meals during the summer, because it all cooks in the foil packet on the grill. Little to clean up and it is SO delicious! You can also make these up the night or morning before and they are ready to be placed on the grill for dinner! I like to serve a fruit salad or some fresh watermelon with it. I also sometimes drizzle some steak sauce or the kids enjoy ketchup with the meatballs. Spray 4 pieces of foil with cooking spray. Divide the ground chuck into 12 separate meatballs. Season with salt, pepper and some seasoning. Each foil packet will get 3 meatballs. 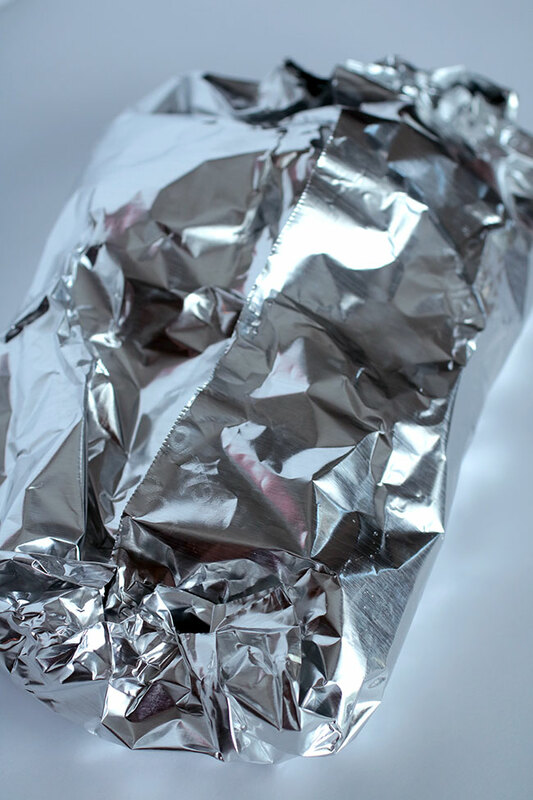 Cut up 2 potatoes and divide equally among the 4 pieces of foil. Do the same with the onion. 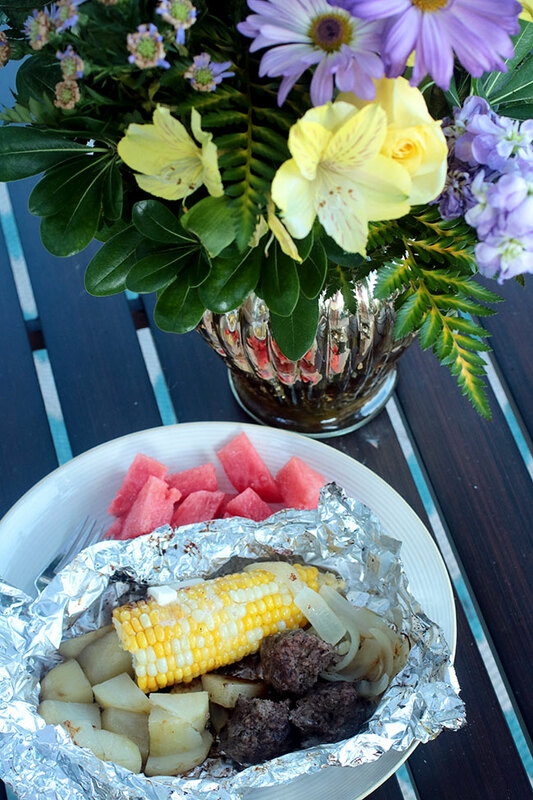 Split the two corn on the cob in half and put one on each piece of foil. 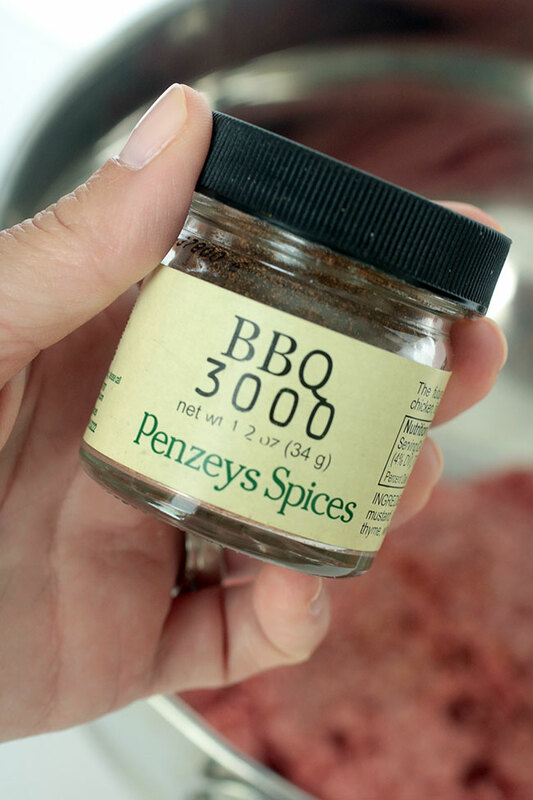 I’m not sure if you have a Penzeys Spices near you, but this BBQ 3000 is my favorite seasoning mix to sprinkle on the meatballs. Seal up the foil packet. Place on the grill at medium heat or in your oven at 400 degrees Fahrenheit for 45 minutes to an hour, or until meatballs are cooked through. 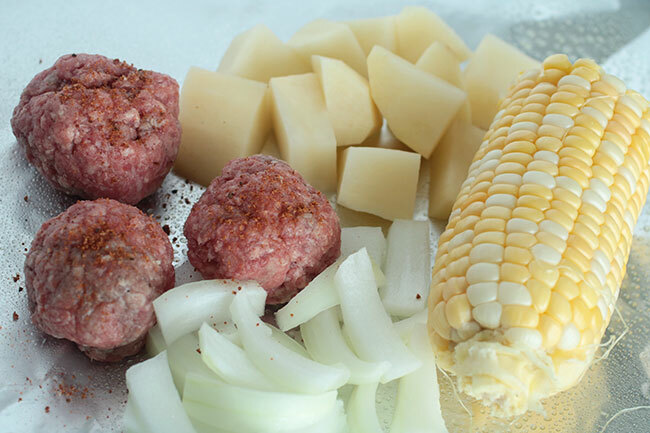 Trust me, this is one tasty meal… and, a nice meat and potatoes meal that my picky kids enjoy! Premier Glow sent us A LOT of glow products! They have such a huge assortment of glow products on their site! 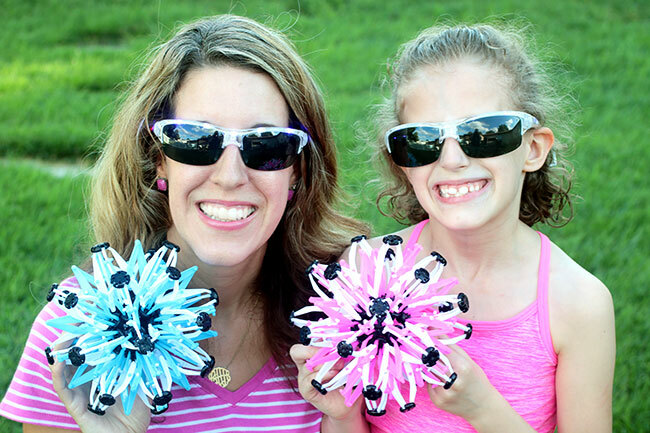 My daughter and I are wearing these glow sunglasses and we’re holding light up balls that expand when you roll them on the ground. 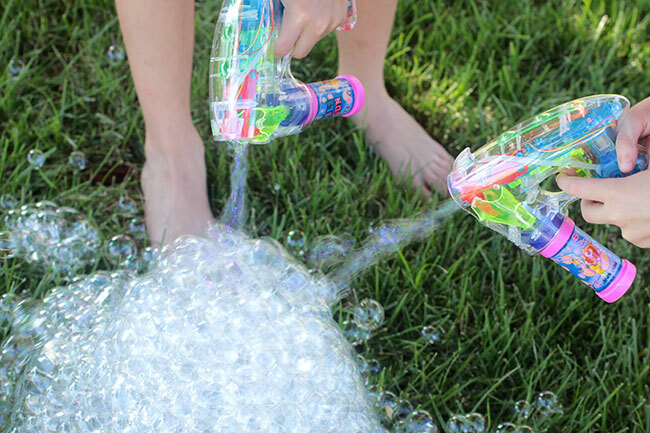 Although, my kids favorite toys were the light up bubble guns! They kept making bubbles on the ground and then they would run through them to pop all the bubbles! So much fun! 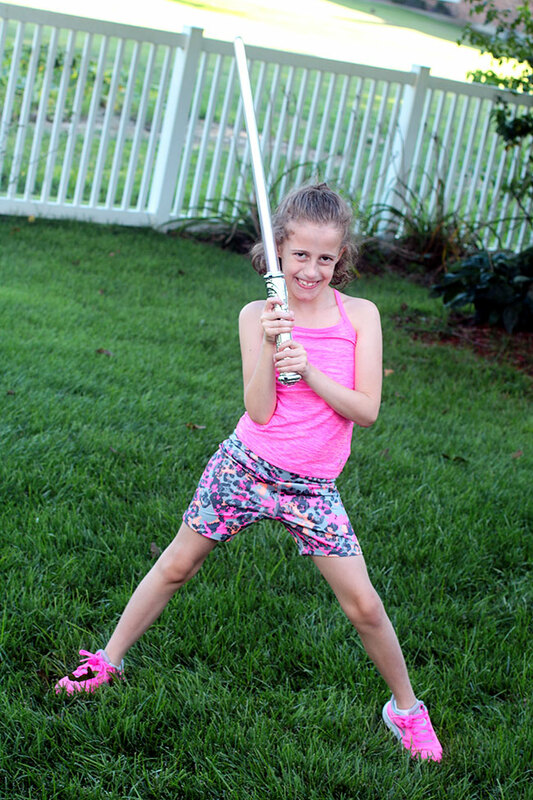 If you’re a Star Wars fan, you’ll enjoy these light up sabers. My husband even got in on the fun. We were also sent some light up space guns that made noise. My son is holding one in his left hand in the above photo. It was a lot of fun having a special evening with the kids and surprising them with a glow party outside with yummy food. Be sure to check out Premier Glow for any upcoming party or special event. 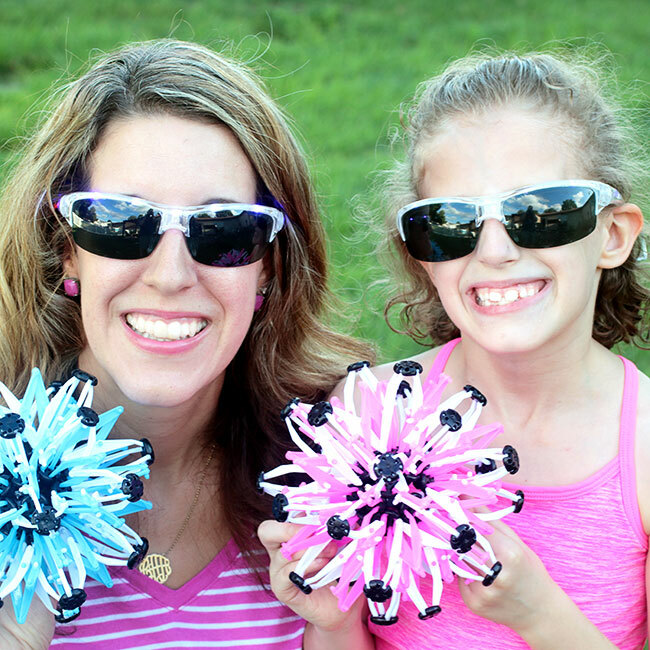 These glow toys are wonderful for Labor Day, sporting events, etc. 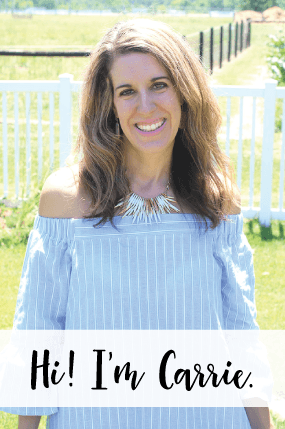 Thank you to Premier Glow for partnering with me on this post. I was gifted these products to try and these are my honest opinions.